I have been testing The Devil’s Beard Co Artisnal Beard Oil from AstroCakeNaturals and just like their Balm this is a very nice product! 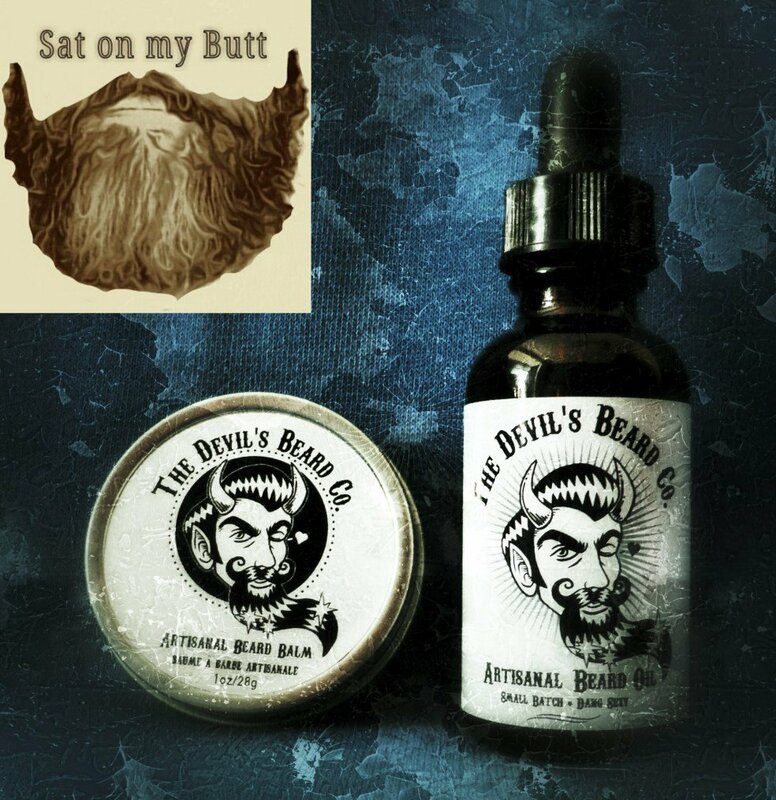 The Devil’s Beard Co Artisnal Beard oil is a base of Avocado oil, Apricot Kernel and Vitamin E oil carrier oils into which Cinnamon Leaf and Sweet Orange essential oils are blended. This oil is an excellent example of how to blend oils, you don’t get a slap in the face from the Orange or Cinnamon, they are balanced perfectly and just at the right strength. When you warm some in your hands and have a smell, the aroma is gentle and you pick up the Spicy Cinnamon and the the Orange, some oils are too overpowering and it’s almost as if they just chuck the essential oils in, AstroCakeNaturals get it perfectly right. The Devil’s Beard Co oil left my beard feeling soft and gave it a nice hold, the scent of Orange with Cinnamon isn’t one that I wouldn’t have chosen if I was buying but that goes to show how wrong you can be, this oil has a very pleasing aroma and the Blend of carrier oils works well to soften the Beard and leave either looking good. I will also be recommending this oil to the guys who have contacted me because they can’t use coconut oil and it’s a task to find Beard oil without Coconut oil in. I highly recommend this oil, I have a couple of favourites and this one has joined them! Just two crazy kids in love with each other and with making all natural skin care products.